The NHS has a big problem. I’m not talking about questionable financial management, the dangers of excessive entanglement with the private sector, or even superbugs on the wards. The biggest problem I see in the NHS today is a chronic lack of understanding on the part of the public. The very group of people it was set up to assist is contributing to its downfall. Sitting in a waiting-room in a hospital department recently, I couldn’t help but overhear some of the comments made by other patients. One gentleman, perusing the reading material set out by the water cooler, complained that the magazines available were old issues. Another voiced the opinion that the department’s nurses didn’t ‘look professional enough’. Yet another, upon hearing that she would be seen by a locum doctor as her usual clinician had been called away on an emergency, demanded to know why she should bother turning up for her appointment if her doctor didn’t. Expensive uniforms. Robotic medical professionals. Magazine subscriptions. Such are the expectations of a service set up first and foremost to provide decent and affordable healthcare for all who need it. Of what possible relevance would the latest issue of Heat be to your health? How could the last-minute substitution of one doctor for another equally well-qualified one be less convenient than having your appointment cancelled? And why on earth would you think that spitefully missing your appointment would be hurting anyone but yourself? It’s on this last point that I would like to concentrate – because, actually, you aren’t only hurting yourself. Each missed appointment has a knock-on effect on patients, doctors, and hospital services. Allow me to take you through the process. Imagine you have an ongoing health problem of some kind. Let’s say it’s a skin condition. It flares up like eczema, but the usual creams and ointments don’t seem to have any effect. You’re scratching your elbows down to the bone and climbing the walls in frustration, so your GP refers you to Dermatology. You are sent an appointment letter from your chosen hospital, asking you to attend on a certain date. These people are paid to work in the NHS. The NHS is paid for through taxes. Taxes are paid by you. So now the wheels have been set in motion. You have your appointment date, but – glory be! – your inflamed skin has miraculously cleared, and you see no need to attend your appointment. Fair enough. It’s your health, it’s your decision. At this point, according to the information detailed in your hospital appointment letter, you contact the Dermatology department to let them know that you no longer need the appointment. They now have an empty slot in that day’s schedule, which they fill by offering it to another patient who needs it, which helps to cut down their waiting-list. Only… you don’t contact Dermatology. It’s only the NHS, after all – it isn’t like a private medical clinic, or even the dentist, who would charge you if you didn’t give at least twenty-four hours’ notice of cancellation. The NHS doesn’t charge anyone, because it doesn’t actually cost anything. Before we debate the ridiculousness of that viewpoint, let’s return to our scenario. We now have two conflicting realities: one, in which you have decided you won’t be attending your appointment, but haven’t let the hospital know this; and two, in which the hospital has arranged for a highly-trained specialist in skin complaints to review you and offer their expert medical opinion in order to help you. The day of your appointment arrives. Over in the Dermatology department, the receptionist has created a file for you in anticipation of it being filled with notes about your condition. Down the hall, a trained medical professional is waiting in his (or her) office to help you, not knowing that you won’t be turning up. He can’t just call in the next patient, because perhaps you’re running a few minutes late. Perhaps he could use the time to answer some of the many written queries that arrive from GPs and patients every day, but again, he can’t really get stuck into anything, because you might be about to walk through that door. Had you attended your appointment as planned, the clinician would have then dictated a letter to your GP, which would then be typed by the departmental secretary and sent out. Your lack of attendance doesn’t mean that this doesn’t happen. The clinician still dictates a letter to let your GP know that you didn’t attend, and the secretary still types it and sends it. This is part of what is called continuity of care. Communication keeps everyone informed. A consultant earns around £100,000pa – the initial consultation (or, in our scenario, the vacant slot intended for it), plus time to dictate a letter and make any necessary onward referrals within the hospital network, takes about one hour (often longer, in fact) of their time, at a cost of £50. That’s £68 wasted, according to this rather conservative estimate of time and money spent. That doesn’t include all those little extras like postage, stationery, electricity. I guess if we wanted to include those we could round this figure up to £70. So that’s £70 of public money – your money – down the tubes every single time a patient does not attend an appointment and doesn’t let the hospital know. Taking into account NHS England’s recent estimate that 6.9 million hospital appointments are missed every year in the UK, that’s a sizeable chunk of public money gone for no good reason. 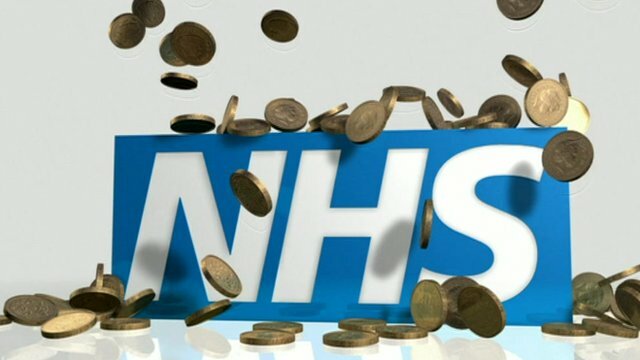 If we, the public, thought of the NHS as a “real” business, rather than a fantasy world where doctors and nurses toil merrily all day and night for free just for the warm fuzzy feeling of knowing that they’re doing good, we’d more easily be able to compare costs and make the right decision – to spend a few minutes and less than 50p cancelling an appointment by phone, or to waste £70 and a good couple of man-hours by not doing so. It’s a financial no-brainer. And yet the status quo persists, the NHS continues to haemorrhage money, and many people continue to complain about the services. But is it any wonder some of the waiting-lists are so long if patients habitually miss their appointments and fail to give any notice that a slot has become available? And is it any wonder that so many departments are grossly overspending, given the amount of money wasted on empty appointment slots, rescheduling, and extra letters? I think so many people miss their appointments because they take the NHS for granted. They see it as a free service that they can take or leave. The money that funds it is taken out of our wages straight off – we never see that money so we don’t see it as a loss when it’s inefficiently spent. It isn’t perceived as being the same as missing a private appointment, where you’re charged for it if you don’t cancel in time and the money comes straight from your own pocket. But it is, in a very real, if less direct, sense, money taken out of your pocket and tipped down the drain. And in the case of missed appointments, it’s a very preventable waste of money. We take the NHS for granted because we don’t think about how it works. We don’t understand it and we only talk about it when it disappoints us. We make demands of it as if it has limitless funds; we complain about the money being wasted, yet we refuse to acknowledge our part in that wastage. This is our own money we’re throwing away! These doctors and admin staff are here to help you, but they can’t help you if you don’t turn up and they certainly don’t deserve your vitriol when the service you receive is inevitably less than perfect. We need to meet the NHS halfway for it to work efficiently and cost-effectively. We have a responsibility for our own health and a responsibility for our public services. It’s time for each and every one of us to recognise our part in it. Until 1961, attempting suicide in the UK was illegal and punishable by a fine or a short jail term. England was one of the last countries in Europe to decriminalise suicide, but the stigma remains in the minds of many, and I know from recent topical conversations that some people still believe suicide to be illegal, or just plain wrong. So, change happens slowly in Merrie Olde Englande, and confusion abounds. In view of the outcome of Tony Nicklinson’s court case earlier this month, it seems that UK law is just as slow to change now as it was half a century ago. Why are our MPs and lawmakers so unwilling to discuss the notion of assisted suicide? For Tony, and for the other locked-in syndrome sufferer known only as ‘Martin’, the answer was obviously cowardice – politicians and judges both unwilling to confront real issues, such as the right to die when you are physically unable to take your own life. I would, however, like to add doctors to this short but telling list of the squeamish. There is, understandably, fear that a change in the law would put vulnerable people at risk (disabled people who have no desire to die, for example), and perhaps images of naughty doctors creeping around care homes with syringes full of barbiturates did dance through the judges’ minds when they concluded that no doctor assisting non-terminally ill patients to die would be immune from prosecution. Of course new laws are vulnerable to abuse, but there is no reason why safeguards could not be implemented when legislating for assisted suicide. Just because you make something legal doesn’t mean you also make it easy. In the case of assisted suicide, the person seeking assistance should be assessed by several doctors independently and each case judged on its own merits with the maximum amount of information and professional advice available. It should be a lengthy process (at the very least, it isn’t one of those snap decisions that you’d be able to renege on at a later date), but the option should exist. To a certain extent I can excuse the squeamishness of politicians and judges to deal with such an issue (perhaps because I have a lower opinion of them to begin with), but the Royal College of Physicians and the British Medical Association have keenly disappointed me with their views on assisted suicide. In the course of my research for this article I have found myself reading quote after quote in which doctors have asserted their duty to “look after” their patients and provide “good care” for them, but these are fluffy notions that do not entertain the idea that, for a very small minority of patients, death would be “in the patient’s best interests”. Ignoring this as an option is, in my opinion, the mark of a physician not doing their job properly. Perhaps some doctors have lost sight of the extent of the remit of their profession. Sometimes a situation becomes so intolerable for a person that it is not actually in their best interests to keep them alive. How many times have you heard someone, speaking of a recently departed loved one, comment that their sadness at losing them is somewhat tempered by the knowledge that they are no longer suffering? Surely this is the more humane response – yet as a society we seem more attuned to the suffering of the family pet than a fellow human being. For how long have doctors been terminating pregnancies, switching off life support machines, engaging in passive euthanasia through DNR (“Do Not Resuscitate”) orders, and (in the case of veterinary doctors) putting animals down to end their suffering? Why do they have less problem ending the life of a being that cannot give its opinion on the matter than of one who can actually communicate their desire to die? It makes no sense. Where is the compassion for the human being who is suffering mentally, not just physically? Despite the great increase in our understanding of mental illness, doctors still seem to prioritise health of the body over health of the mind. They are confident when dealing with conditions of all kinds from which a patient wishes to recover, and even respect a patient’s decision to refuse treatment, but when death is actively sought, they balk. The BMA’s reasons for continuing to oppose a change in the law on assisted suicide amount to little more than the protection of doctors against having to make tough moral decisions and to face up to what HPAD (Healthcare Professionals for Assisted Dying) calls the “clinical reality” – that however small the minority, there do exist patients who wish to end their lives but are unable to do so without outside help. Surely acting in the best interests of a patient should include choosing to assist in their wanted death rather than putting them into a position where, for example, they must resort to starving themselves as a means of ending their life. We have to learn where to draw a line under our efforts to preserve human life. Do not take this statement out of context – doctors should always do their utmost to prevent death where death is not desired. But to preside over the death of a patient is not a failure or dereliction of duty when not even the patient believes in the worth of such efforts. We just need to make sure that any laws facilitating assisted suicide will never allow someone to “be murdered” without their express desire. And if there is consent, ought it even really to be called “murder”?